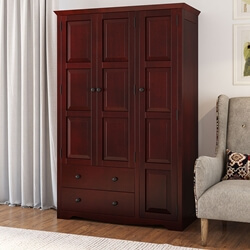 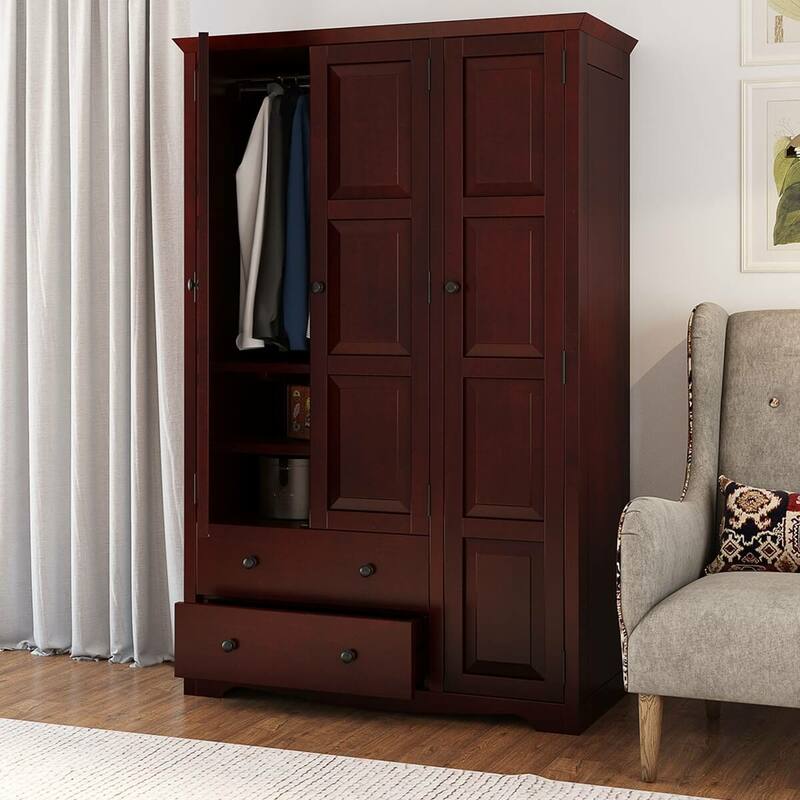 If you’re looking for a classic vintage beauty to grace your rooms with unfettered style, character, and amazing pragmatics, then our Dakota Rustic Solid Mahogany Wood Large Wardrobe Armoire With Drawers would be the perfect wardrobe armoire cabinet for you! 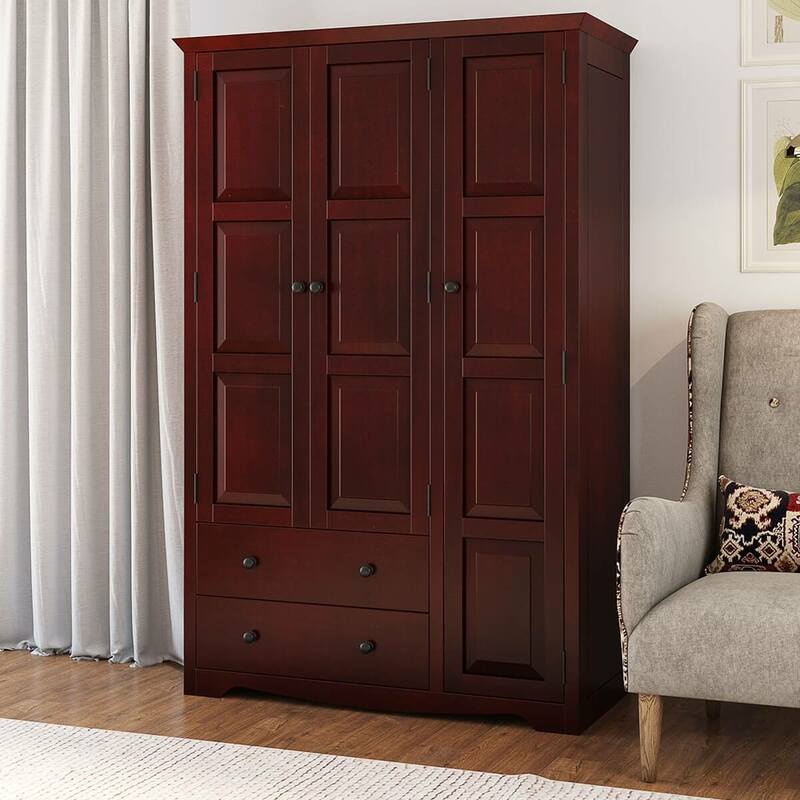 Designed on the contemporary style, this solid wood 3 door bedroom armoire features undertones of classical and vintage nature with beats of modern in the mix. 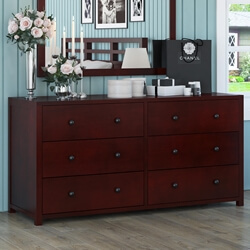 The overall design is extremely charismatic, and will definitely become a highlight of your bedroom. 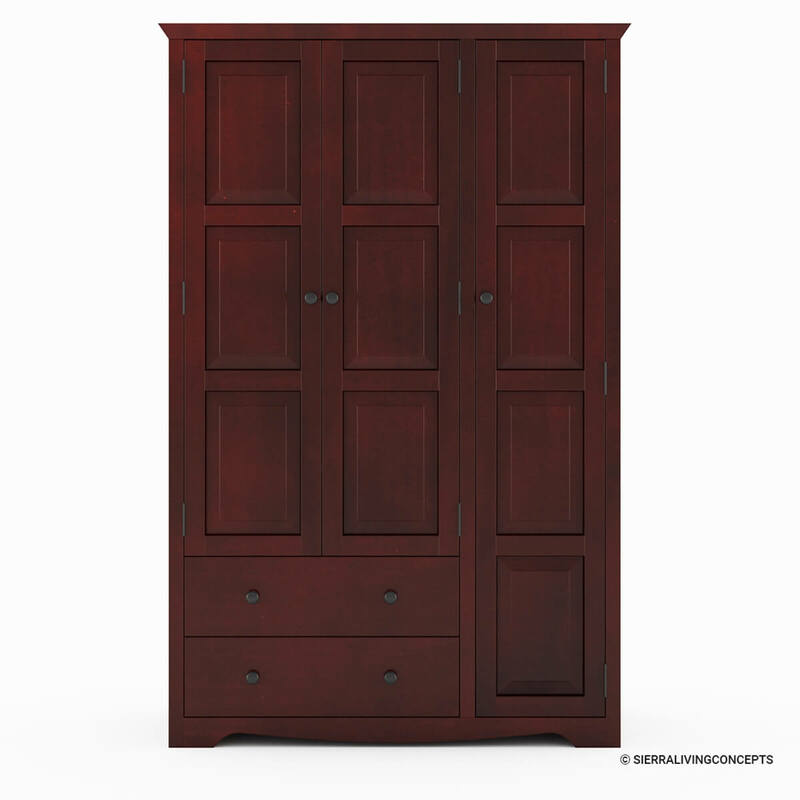 The exterior constitutes of a double-leaf wardrobe compartment underscored by two long drawers and a vertical closet unit on the right. 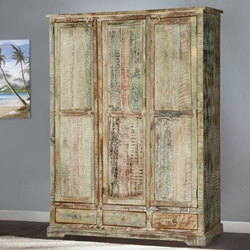 All of this is complemented by a gorgeous hand rubbed stain and hand-wrought metal hardware. 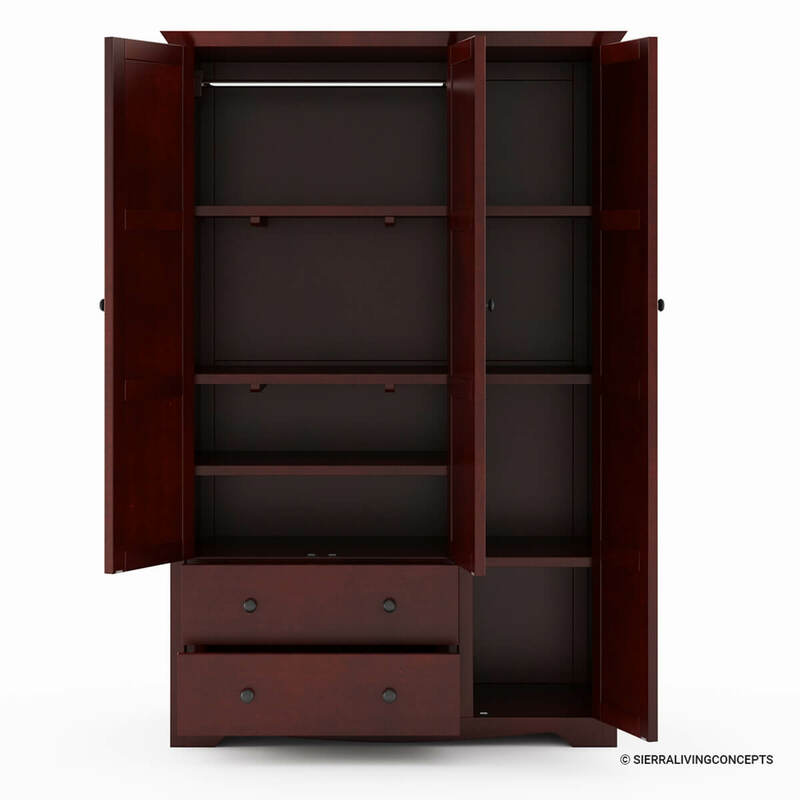 The double-leaf compartment opens up to reveal an open shelf where you can store all your essentials within sight, and a stainless steel hanging rod up top. The two drawers provide sufficient space to keep folded laundry and other miscellaneous accessories while the vertical closet unit opens up to 4 equally divided shelves. 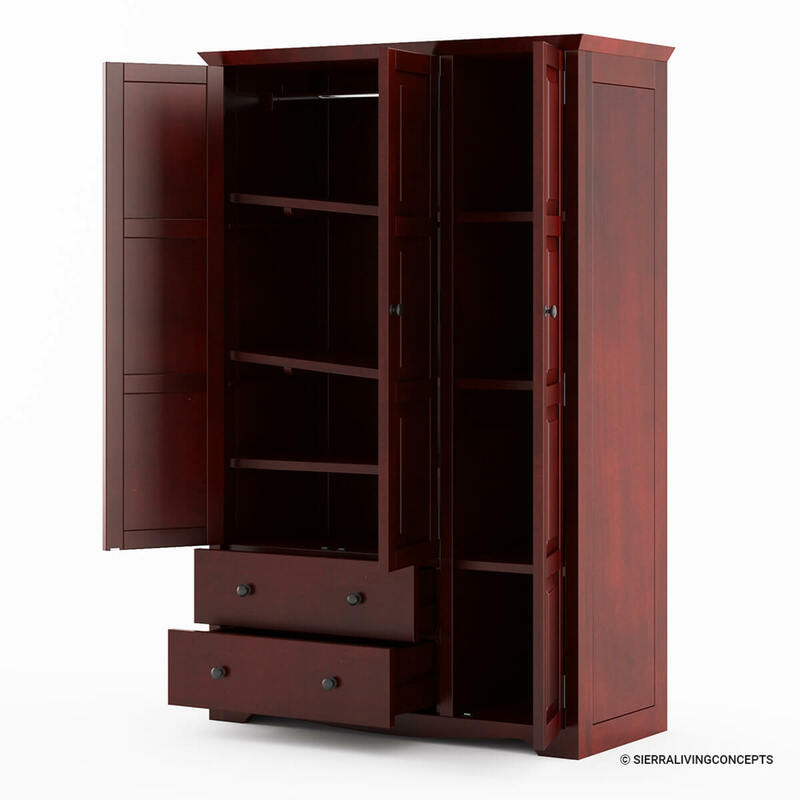 It comes with 2 removable shelves, allowing you to customize your storage option and turning the wardrobe armoire into a large cabinet. 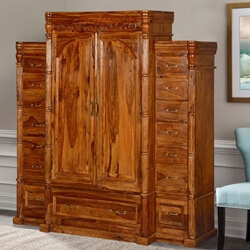 Handcrafted from solid Mahogany wood, this rustic bedroom armoire warrants the best of aesthetics and pragmatics, along with a sturdy, durable and long-lasting heirloom quality! 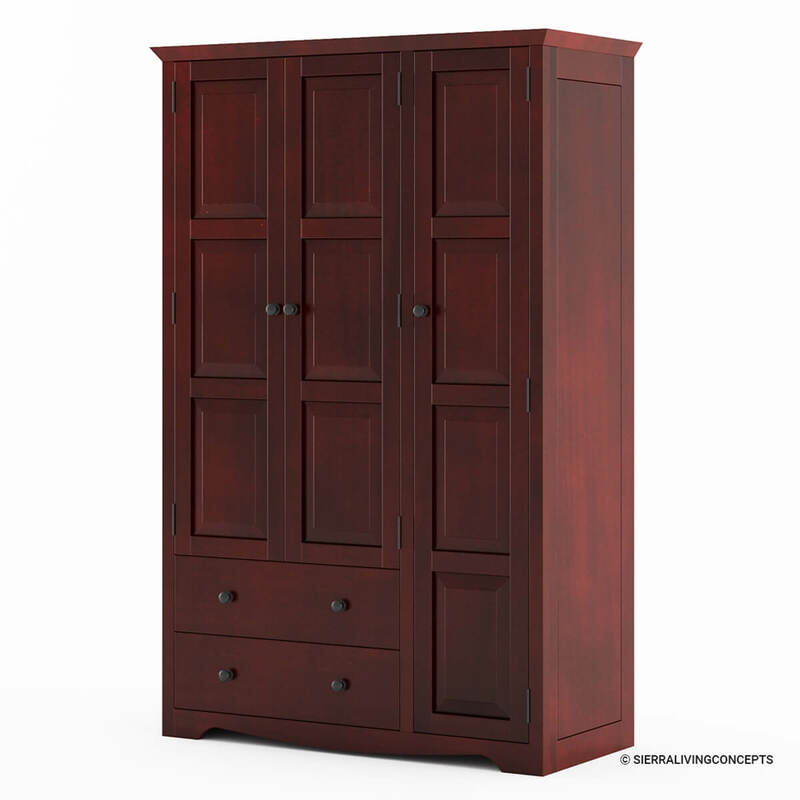 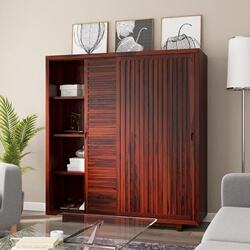 This solid wood armoire wardrobe is one of the most stylish and visually versatile furniture pieces you’ll ever find. 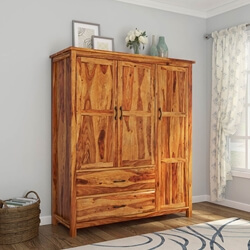 You can easily match it up with a contemporary ambiance as a stunning accent piece, but it would look just as charming in a neo-classical, traditional or even a transitional style bedroom.